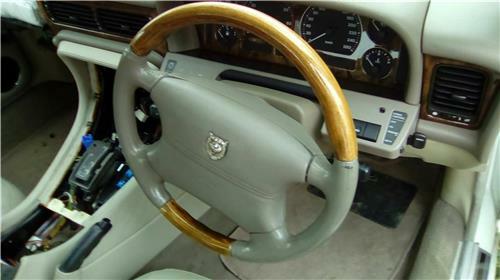 Up for sale is a JAGUAR X300 timber steering wheel - will fit X300 models1994 to 1997 & would be a great upgrade to any Jaguar of that era. Would be a great upgrade for your standard leather streering wheel or just a much nicer steering wheel than fitting an after market sports steering wheel. Slight wear on the edge of the leather but a leather colour would bring it up as new. Includes the air bag cover. Welcome to inspect before purchase and remember you are bidding to own, not for the right to inspect. Can help with delivery, please supply town & postcode for quote or pick up from Penrith, 2750, Sydney.